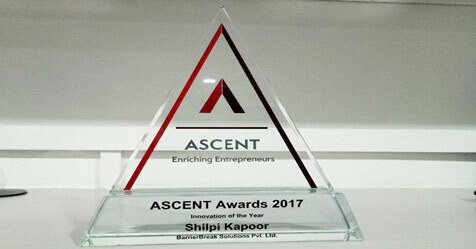 Shilpi Kapoor, the founder of BarrierBreak, the company that is a pioneer in providing accessibility and assistive technology solutions for people with disabilities, has been recognized as among the top 20 most powerful women in business in India for the year 2017. Honour comes from the prestigious journal, Business Today. BarrierBreak started off by providing software testing services to assess whether websites and applications are disabled friendly, largely to clients in the United States and Europe. Later Shilpi Kapoor developed digital books for the blind. She is also the brainchild behind TechShare India,, which is an accessibility and assistive technology conference and exhibition to create awareness. Since 2004, BarrierBreak has worked with nearly 200 companies across various spectrum like Information Technology, healthcare, publishing and the government in 12 countries. Thanks to BarrierBreak, multi-national companies like Microsoft and Accenture have made significant inroads in making their offices accessible to people with disabilities.